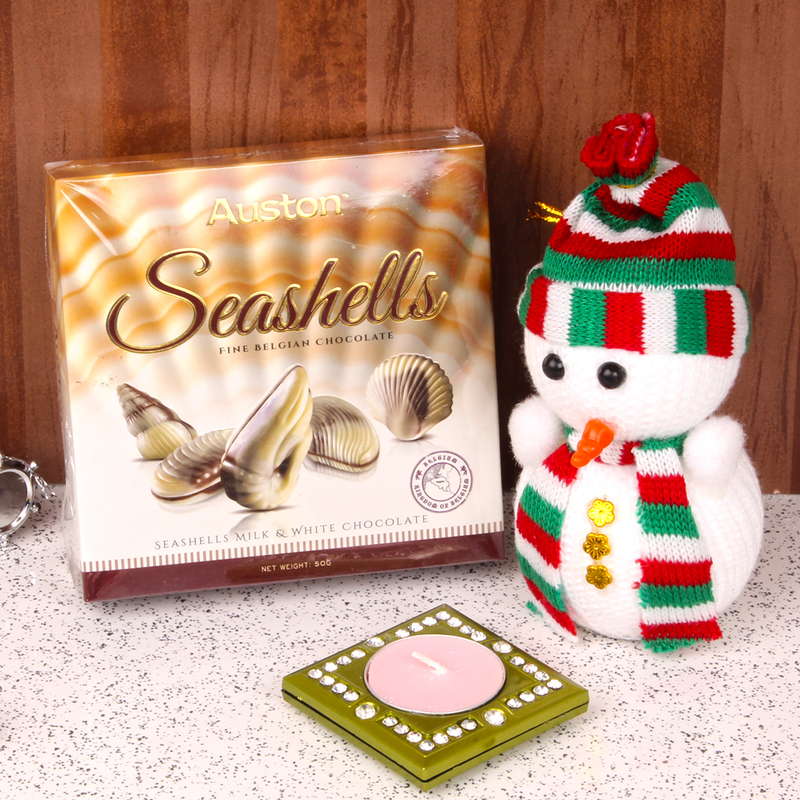 Product Consist : Small Snow Man (Size : 5 Inches) and Seashell Chocolate Box (Weight: 50 Gms) along with Special Candle in Diamond Studded Container. Giftacrossindia has presented a very simple yet very pleasant gift hamper that is sure to enthrall your loved ones and family on Christmas. During Christmas celebrations, it is customary to make snow effigies commonly referred to as ‘Snow Men'. The snowman brings a smile to our faces and has been doing so for centuries! This hamper comes with small snowman which made out of woolen ball which is not only complete the Christmas decor and but also symbol of happiness. 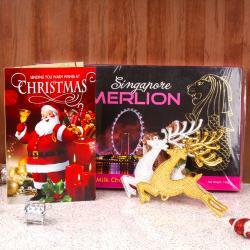 This hamper also includes a special Christmas candle in diamond studded container. This fantastic gift hamper is all set to make your loved ones feel special by giving treat of delicious seashell chocolates. So, get your gift one just one click shop. 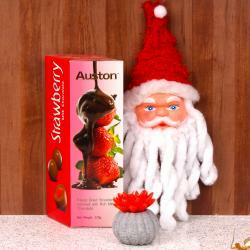 Product Consist : Small Snow Man along with Auston Seashell Chocolate Box (Weight : 50 Gms) and Special Candle in Diamond Studded Container.